Ershui Assembly Hall 二水公會堂 is located in Èrshuǐ 二水, a small town at the very southern edge of Changhua 彰化, on the border with both Yúnlín 雲林 (to the south) and Nántóu 南投 (to the east). 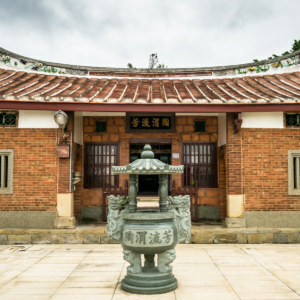 It is one of dozens of similar assembly halls built all around Taiwan to accommodate large public gatherings during the Japanese colonial era. 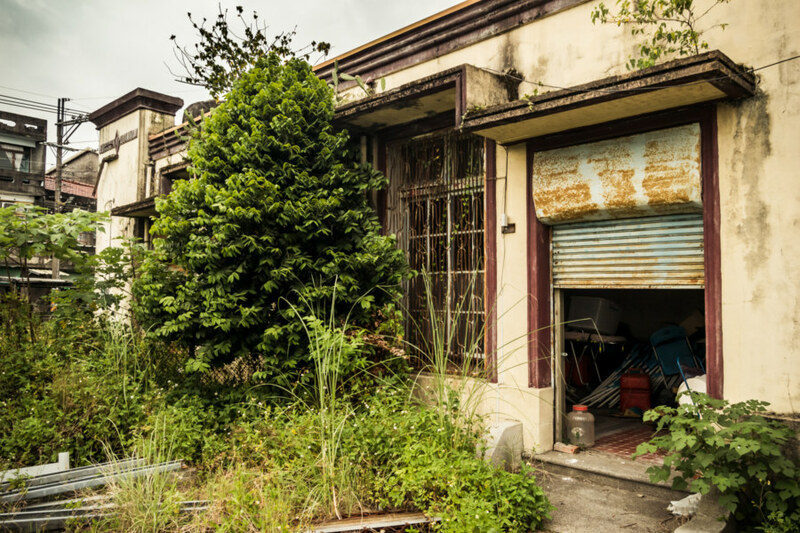 This particular example was built in 1930 and is one of three remaining in Changhua 彰化. 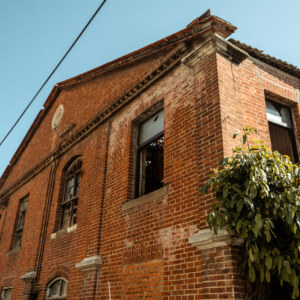 The other two—in Changhua City 彰化市 and Lukang 鹿港—are both fully restored, designated historic properties, and open to the public, but the Ershui Assembly Hall, the smallest of the three, has been derelict for years. 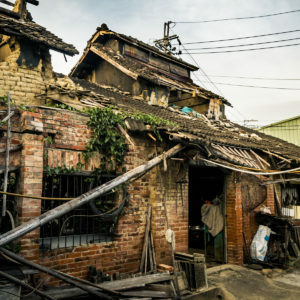 From what I’ve read in this excellent post the landlord and local government have been locked in a long-running legal dispute, complicating any efforts at preservation. 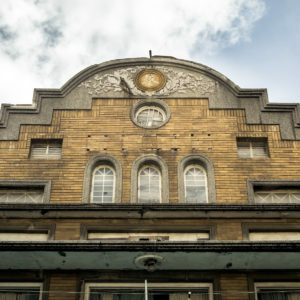 A closer look at the facade. The circular outline of where the original sign would have been mounted is visible. You may also notice a moth in the frame; there were hundreds flying all around the building when I visited. You may notice that the sign out front reads Zhōngshān Hall 中山堂. 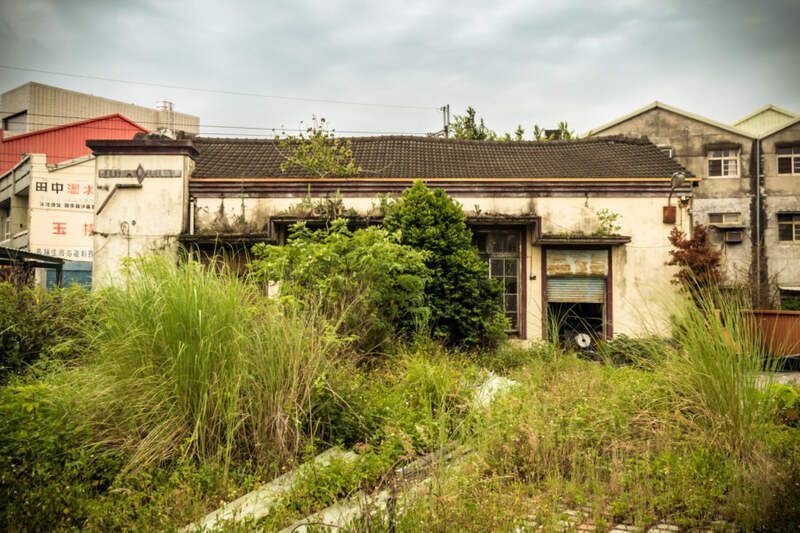 After the Kuomintang arrived in Taiwan they enacted a policy of re-sinicization that involved—among other things—renaming major streets, buildings, parks, and sometimes entire settlements after various elements of party ideology. “Zhongshan” commemorates Sun Yat-sen, first president and founding father of the Republic of China, and pretty much every public hall in Taiwan was given this same, unimaginative name. If you look closely at the photograph you can see a circular outline where the original sign would have been mounted. I strongly suspect this would have been a plate inscribed with the Ershui city emblem (shìhuī 市徽), a convention outlined in a previous post about the nearby Fenyuan Town Hall. I went looking for archival footage of the hall but found nothing online to confirm this hunch. 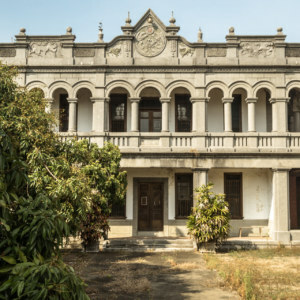 One of the benefits of conferring heritage status on a building is that at least some amount of proper research will be done—but in this case all I’ve got to go on is the work of Taiwanese bloggers who are also interested in local history and culture. Creeping around the side of the derelict assembly hall. 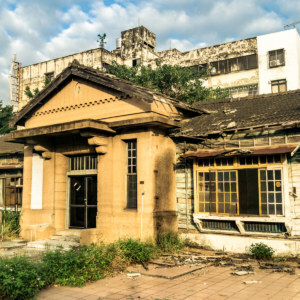 This excellent post about the history of Ershui indicates that the assembly hall—as well as several other institutional buildings—were constructed between the older, unplanned Qing dynasty era settlement and the newer, more modern area around Ershui Station 二水車站, which opened in 1905. 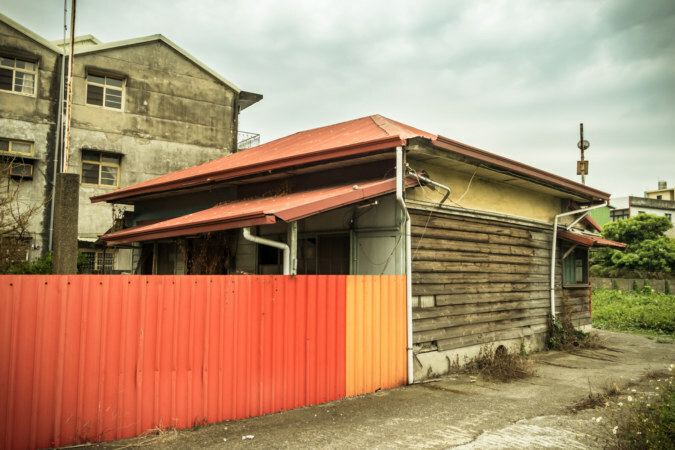 This reflects a common pattern in Japanese colonial urban planning—and indeed, at one point the area around the assembly hall was once home to a police station and almost certainly a bunch of wooden dormitories, exactly as one would expect. 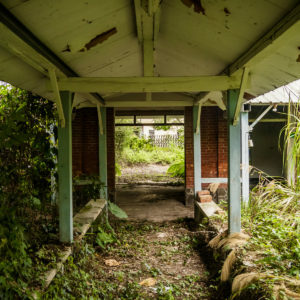 Google Street View records indicate the police station was still present in 2012—so the overgrown plot of land immediately adjacent to the assembly hall has only been empty for a few years. The side door is open for some reason, how could I not go take a look? 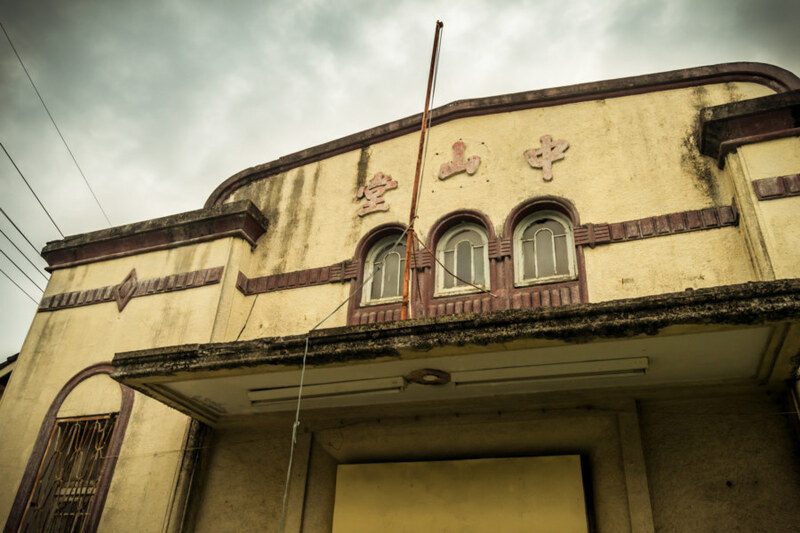 I didn’t expect to be able to take a peek inside the old assembly hall, particularly not after jumping the fence around the side and arousing the attention of two Taiwanese men playing catch on a bare patch of ground next to the fire station, which is still in use. I put on a smile and asked if it was alright to go take a look and, after glancing at one another, the man closer to me nodded his assent. Stepping through the weeds, I went around back and had a look inside the assembly hall and a small wooden building with a surprisingly interesting history. Inside the assembly hall. It doesn’t look so bad in here. Evidently it is now used as storage by the fire department. 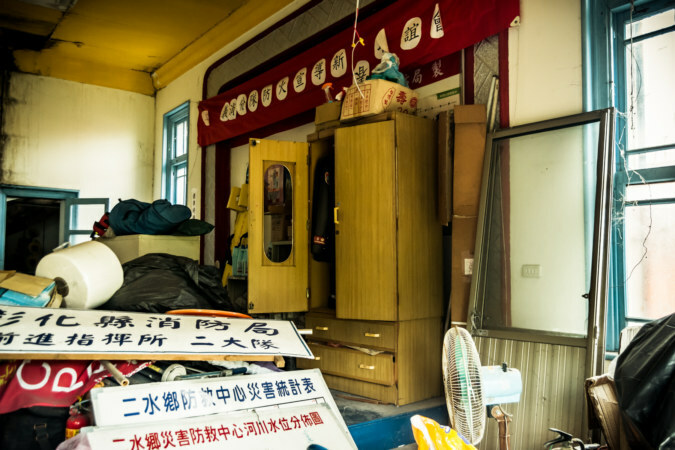 Unbeknownst to me at the time, the wooden building behind the assembly hall originally served as an office of the Hoko system 保甲制度, a grassroots form of civic self-governance and law enforcement adapted from the existing Baojia system. I have only just learned about this system so I don’t feel qualified in saying too much about it—but it is interesting to consider at least one example of how it was used by the colonial authorities. Foot binding, a common practice in late 19th century Taiwan, was viewed by the Japanese as an uncivilized custom—and rightfully so. Seeking to discourage and then outright ban the practice in the 1910s, the Japanese sent orders down through the network of Hoko offices to identify households with bound women and eventually order their unbinding. Community leaders under the Hoko system were also charged with registering overnight visitors, reporting suspicious activity, and other such duties. 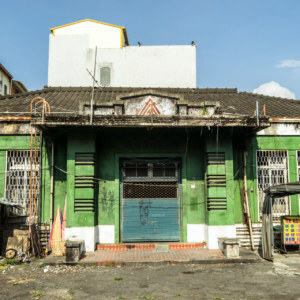 These community leaders worked closely with the Japanese police—which is why this old wooden building was located next to the former site of the Japanese colonial police station. 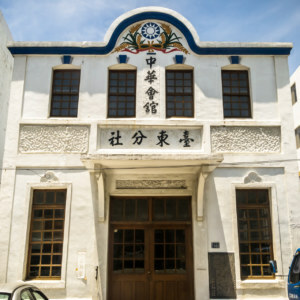 The old Hoko Office 保甲事務所 in Ershui. Inside the old office, which was obviously repurposed since 1945. 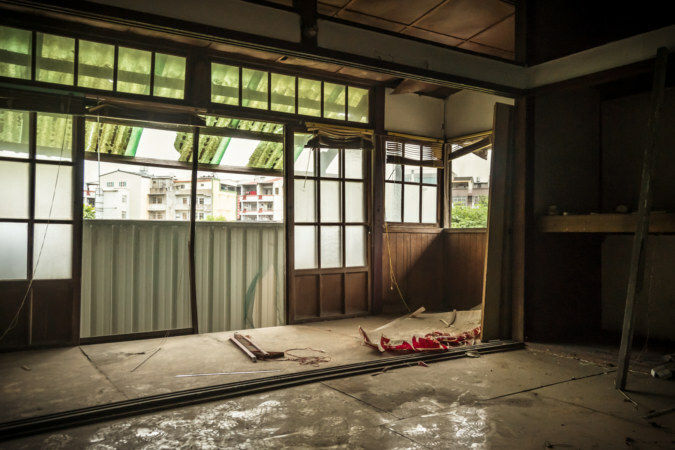 Visually there is nothing too interesting about this Hoko Office 保甲事務所, nor was there much of anything left inside. This system was abolished in 1945, not long before the beginning of the housing crisis that coincided with the KMT defeat in China, so there’s a good chance it was someone’s house in the intervening years. Then again, it might have continued to serve another institutional function. Had I not read about it here I would have assumed it was just another police dormitory. 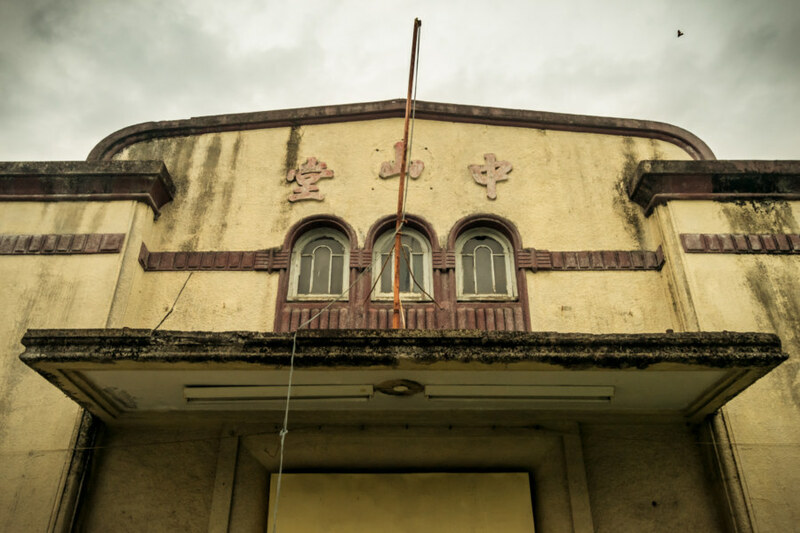 The only thing that really stands out is the base of a flagpole constructed in the same rugged pebble-washed style (Chinese: xǐshízǐ 洗石子) of the assembly hall and so many other colonial structures around Taiwan. The flagpole in front of the old office. This area was teeming with moths when I visited. Returning now to the assembly hall, I should mention that there appears to be no standard English translation of gōnghuìtáng 公會堂. I have used “assembly hall” but I have also seen “public hall”, “public assembly hall”, “public meeting hall”, “public auditorium”, “union hall”, and “guild hall” in use. 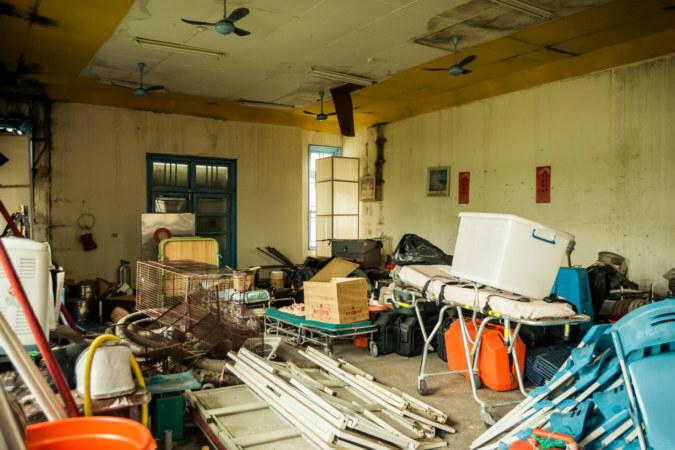 This particular hall was one of eighteen located in central Taiwan—and for those of you who are keeping score, there were 22 in northern Taiwan and 29 in southern Taiwan, bringing the total to at least 69 according to one particular Taiwanese blogger. 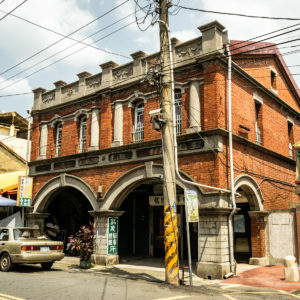 Of these, it seems like only about a dozen remain, the most famous of which is the Taipei Assembly Hall 臺北公會堂 (now also known as Zhongshan Hall) in Taipei 台北. 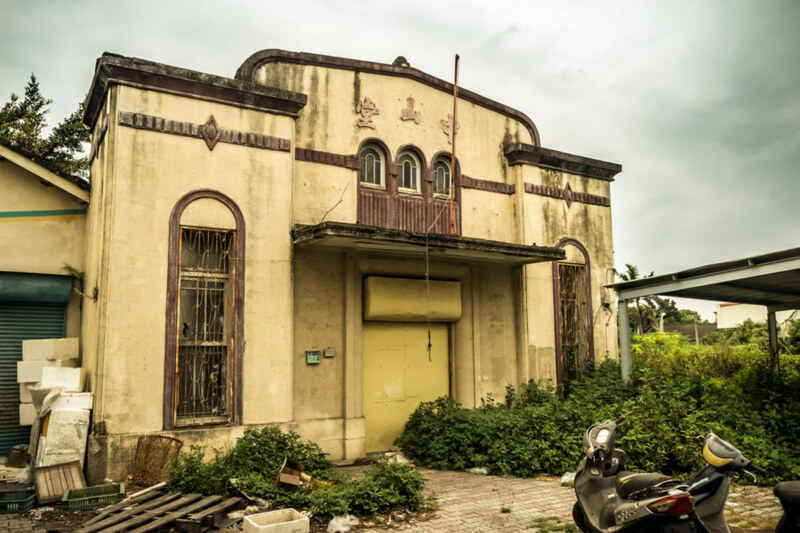 I also snuck a photograph of the Changhua City Assembly Hall 彰化市公會堂 into this photo gallery from my time living there. 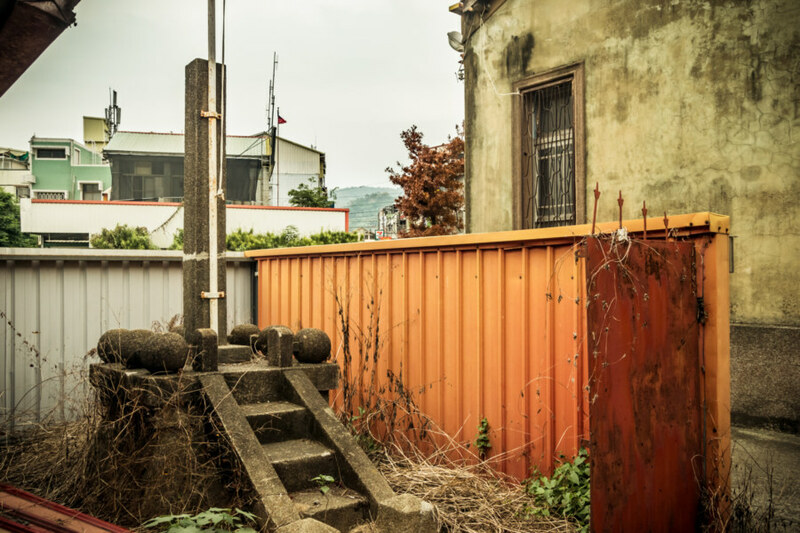 The derelict public assembly hall in the heart of Ershui. One last look at the front of the old Ershui Assembly Hall. Finally, I should mention an auxiliary post I made about the many moths I encountered during my visit in May of 2017. 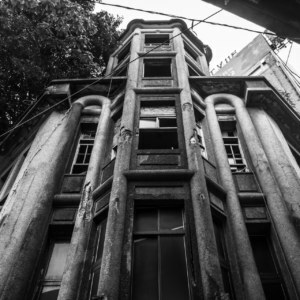 The old assembly hall and office building were both surrounded by an eclipse of geometrid moths in a mating frenzy. 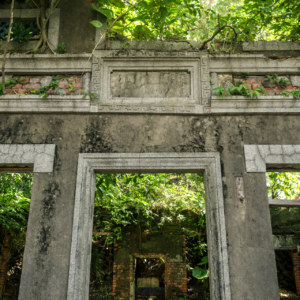 Nature reclaims abandoned spaces in startling ways. I’ve ridden past this building dozens of times in the last 3 years, and it always catches my eye. The first thing I think of is what a great live house pub it could be in this sleepy town. Think about it, organizing as many local performances one could muster with a monthly foreign act would bring this town to unprecedented level! Combine live performance with local and foreign specialty snacks and beverages… what better way to revive a historical site with complicated political history? Just let the locals enjoy it, for local’s sake! This would make that historical train station 3 blocks away a much more visited destination!